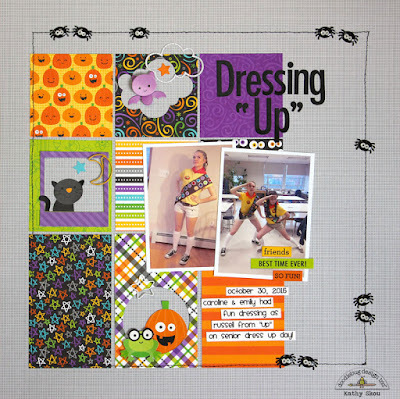 I love all the patterns and prints in the collection and thought it would be fun to showcase them in a grid format. Seriously, only Doodlebug could make a spider cute and appealing. 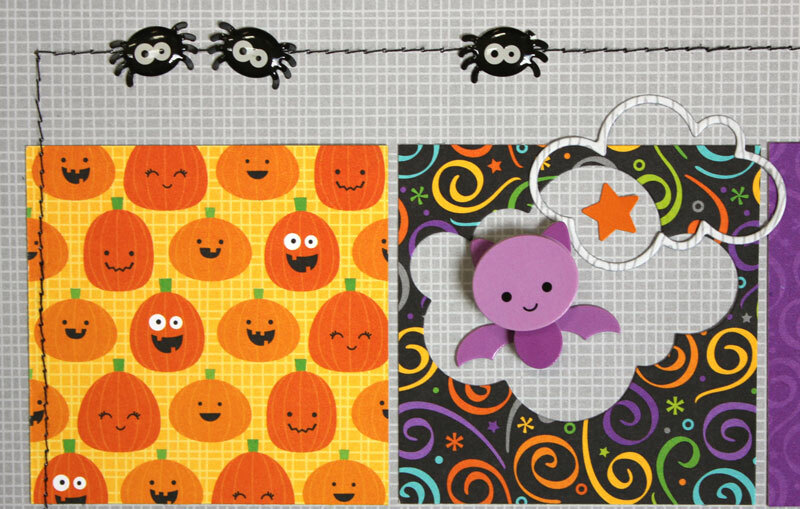 I really loved the Spooky Spider Shape Sprinkles and sprinkled them liberally over my layout! I also loved the little bat from the Cute Critters Mini Doodlepops! My favorite new character is Ribbit the frog... so stinking cute! 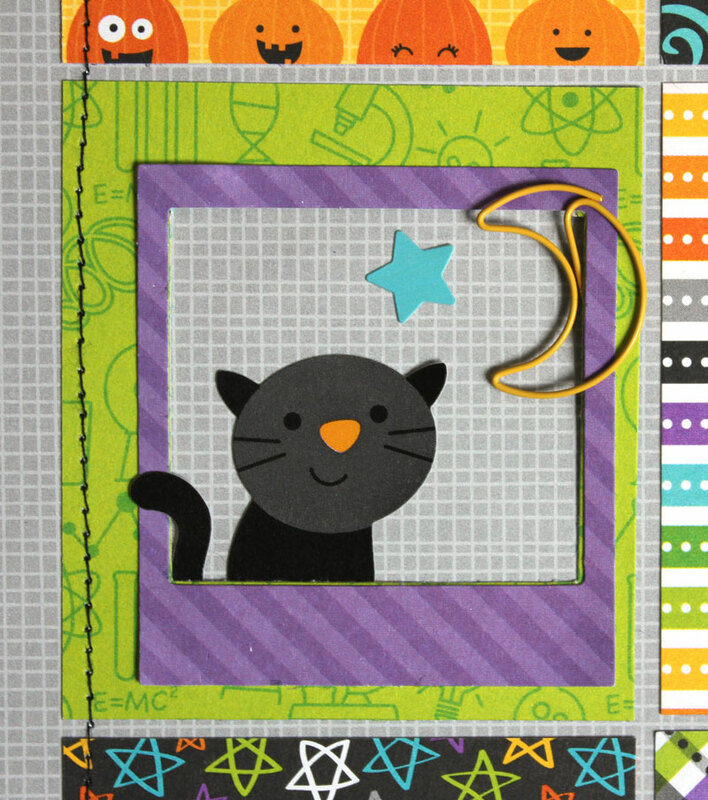 It was also fun to use the Stars and Moons Cute Clips, they add the perfect little touch! And of course, I HAD to use the cute little kitty sticker from the Icons Stickers... He looks so sweet peeking out of the frame that was in the Odds & Ends. 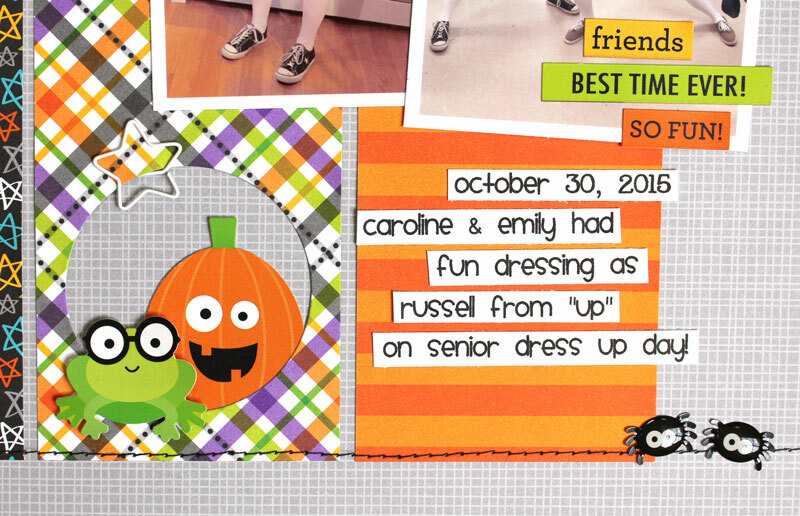 I hope you've enjoyed the Boos and Brews inspiration these last couple of weeks, keep coming by to see some more! EEEEK! Those spiders! I love this layout. The patterns are adorable. I love the grid design!! This is super cute Kathy! 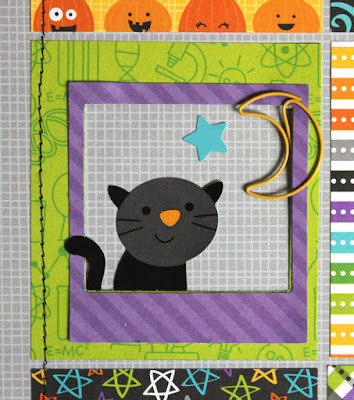 Love the design, and the cute kitty and those spiders!!! Kathy! I love this grid and the spiders on the edge. So much fun!